The ventricular septal defects (VSDs) known to cause aortic regurgitation (AR) are doubly committed VSDs, perimembranous VSDs, and muscular outlet VSDs . 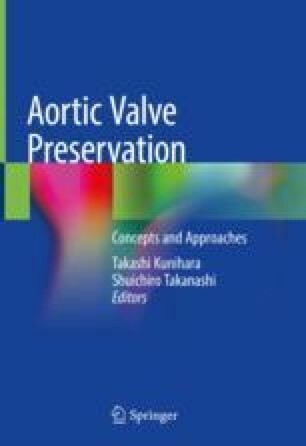 Surgery is naturally often indicated in patients with a high shunt volume that causes cardiac failure or pulmonary hypertension, although it is possible to prevent the progression of AR by closing the VSD before AR worsens due to aortic valve (AV) prolapse . If the AR is graded as trivial or more, then we believe that this is an acceptable indication for surgery . Consider early closure if there are concerns for a patient with a doubly committed VSD, which can be closed through an incision made only in the pulmonary artery. However, if the concomitant AR is graded as moderate or greater, then consider surgical management of the AV.